A couple of years ago my family bought me a Keurig single cup coffee maker. I love the ability to make a freshly brewed cup on-demand; the convenience has served to fuel my already robust coffee addiction. Our local Sam’s Club sells a variety of K-Cup brands; they typically are boxes of 80 for around $37. Starbucks recently entered the K-Cup market so when I saw their box for sale at Sam’s I bought one. It wasn’t until I opened it a few days later that I noticed there were only 54 individual units for the same $37 price. It was clearly marked on the box, but I was so used to boxes of 80 that I never noticed. When looking for a financial planner it is also important to know what you are getting for your money before entering into any sort of relationship. 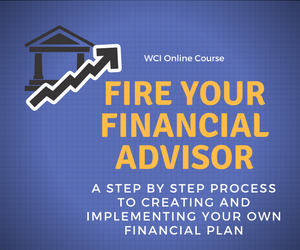 First you need to understand that anyone can call themselves a financial planner. This is no requirement that they have any particular training or credentials in order to hold themselves out as a financial planner. Do they hold the CFP® certification or perhaps the PFS certification (the CPA’s financial planning certification)? There are an ever increasing number of certifications and designations in this field. Some are more meaningful than others so be sure ask many questions here. Understand the services offered. Do they provide comprehensive financial planning; investment advice; or advice on an ad hoc basis? More importantly does the planner offer services that match your needs? Understand how the planner will be compensated. Is this person truly a financial planner, or do they simply sell financial and insurance products? Are they paid an hourly fee, an ongoing retainer or percentage of the investment assets they will be managing for you, or some sort of fixed project fee? Is their compensation all or in part based upon the sale of financial products? Understand the planner’s value proposition. What does he or she bring to the table that makes their services unique and right for you? Just like my coffee buying experience, it is important that you fully understand who you are hiring as a financial planner, what they will and will not do for you, the benefits of hiring that person, and how much you will be paying for their services. NAPFA (the largest professional organization for fee-only financial advisors) has published a guide to finding an advisor. As always please feel free to contact me if I can be of help. Check out our Resources page for links to some tools and services that might be beneficial to you.